Thursday, March 29th at 10:30 a.m.
3 to 7 p.m. Wednesday, March 28th and at the church for one hour prior to the service on Thursday. 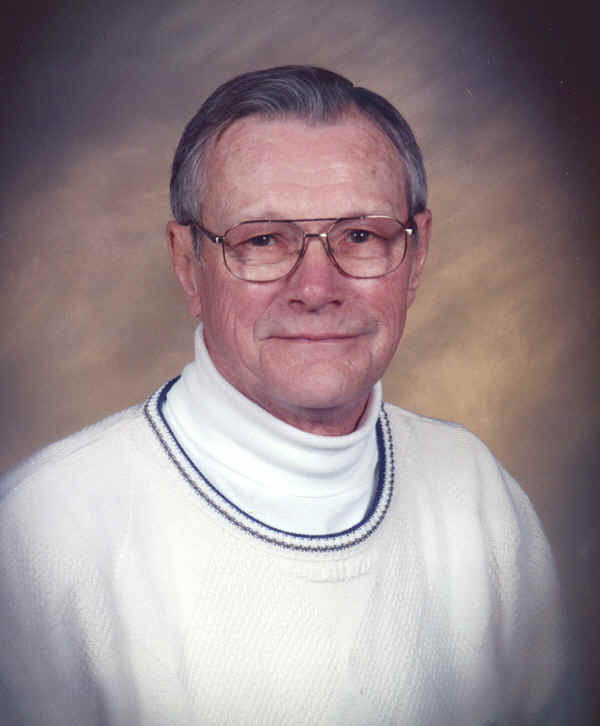 Leon W. Schreck, age 81 of Faribault, died on Sunday, March 25, 2012 at Waterville Good Samaritan. Funeral services will be held at Trinity Lutheran Church, Faribault on Thursday, March 29, 2012 at 10:30 a.m. with the Reverend Armand J. Boehme and the Reverend Steven J. Kuehne officiating. Interment will be at Meadow Ridge Memorial Park, Faribault. Visitation will be at the Boldt Funeral Home, Faribault on Wednesday, March 28th from 3 to 7 p.m. and also at church for one hour prior to the service on Thursday. Leon Wayne, the son of Walter and Rose Ann (Schlieman) Schreck, was born May 25, 1930 in Hegbert Township, rural Appleton, MN. Leon married Iris Mae Stock on August 14, 1949 in Immanuel Lutheran Church, rural Appleton and she preceded him in death on June 22, 1996. He was previously employed with Appleton Funeral Home, Appleton Appliance, Marshall Wells Appliance all of Appleton, Mahler Hardware of Faribault and owned and operated Schreck Appliance of Faribault until retirement. He then worked for First United Bank, Trinity Lutheran Church and the Boldt Funeral Home, all of Faribault. Leon faithfully served Trinity Lutheran Church on the board of trustees, the Radio Club, Trinity Pie Makers, as well as various other committees. He is survived by his three children, Larry (and Sharon), Lanny (and Suzanne) and Bonnie (and Kevin) Goddard, all of Faribault; ten grandchildren, Jay Schreck (and Tammy), Anita (and Steve) Wegner, Matthew (and Katie) Schreck, Michelle (and Tim) Knutson, Khara Huffstutter, Kelly (and Anthony) Loween, Andrew (and Chandra) Schreck, Philip Schreck, DeAnna Goddard and Rebecca (and Ben) Heath; 20 great grandchildren; one brother, Gerald Schreck of Lakeside, MT; two sisters in law, Wilma and Myrtle Schreck of Appleton; one brother in law, Tom Wanke of Appleton; nieces, nephews, other relatives and friends. He was preceded in death by his parents; his wife, Iris; a son in infancy; brothers, Stanley, Raymond, Ronald and Alan in infancy; and a sister, Darlene Wanke. My dad so enjoyed having Leon with him as a member of the Trinity Pie Maker "ladies". He enjoyed his friendship so much as they conversed while doing their jobs of apple peeling, heavy lifting or any other job they were instructed to do. When my mom was sharing some memories last month before she died, she mentioned how Leon was one of the nicest men she had known and how much dad had thought of him. May your great memories of him help you as you go through this difficult time. Leon was one of a kind. He was always my go-to guy when I was on the Church Council. He was my go-to guy for the Radio Club. We've missed him these past few months and he will certainly be missed now. The Radio Club will be sponsoring the Palm Sunday broadcast this week in memory of Leon. God be with you all. Know he is with his Savior and we will again see him. Leon Schreck Faimily - Please accept our condolences on the passing of Leon. Although this may be a time of sadness it is also a celebration of his past life and now the beginning of his eternal life. Uncle Leon once shared with me that when his brother "Ronald" passed away, he not only lost a brother, but also his best friend. There is little doubt that they are enjoying each other's company once again! God Bless.